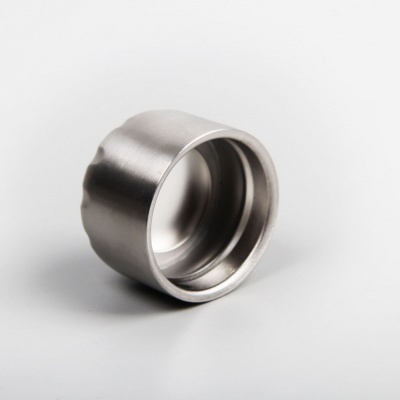 Fully made out of stainless steel! 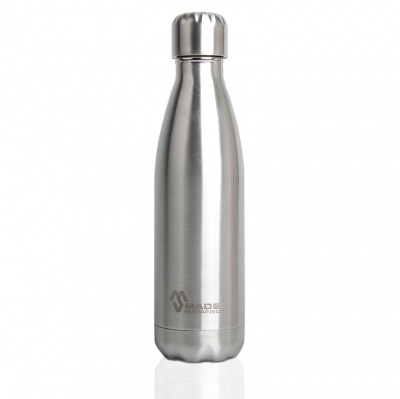 It is leak-proof, plastic-free and double walled. Your coolest or hottest companion, refill and stay hydrated all day long. 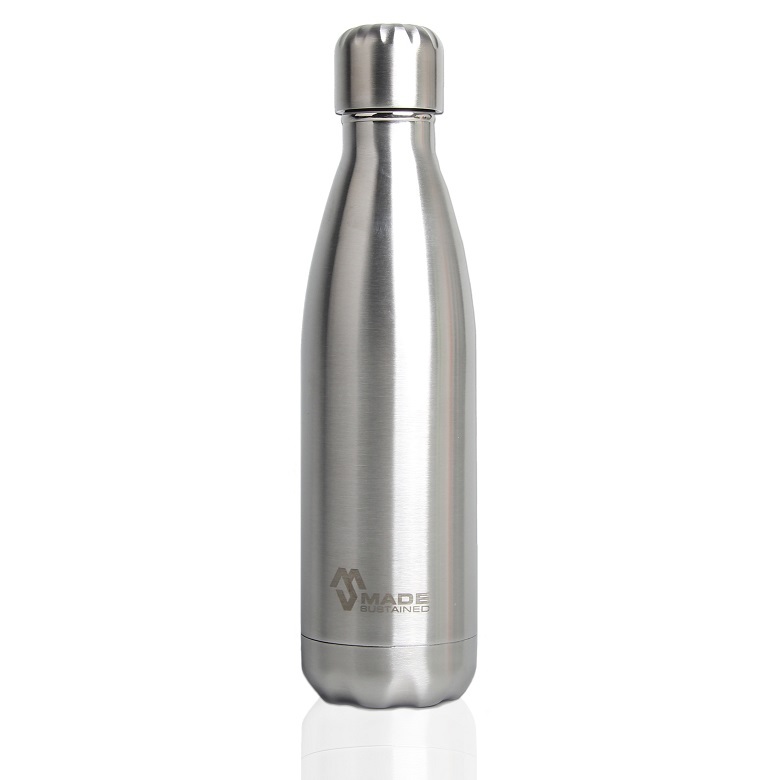 Leak-proof, plastic-free and double walled 304 stainless steel that keeps your drink warm for 4 hours and cool up to 20 hours. 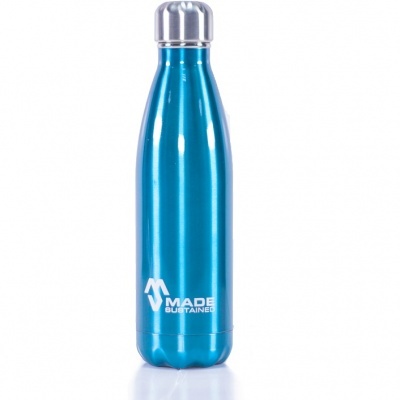 The 500ml bottle is still compact and easy to take with you. It fits in your bike holder! 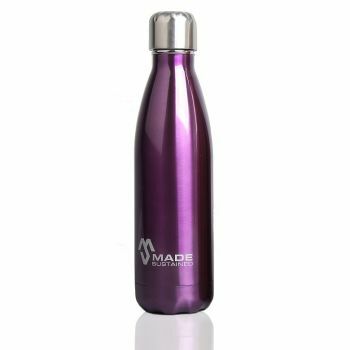 Made Sustained Knight Bottle is fully made out of stainless steel! The difference with the Made Sustained Bottle is that the Knight Bottle has a fully stainless lid. NO PLASTIC! 500ml: 26,5cm high and 7cm wide.